When we're in Texas, Ed wants barbecue. 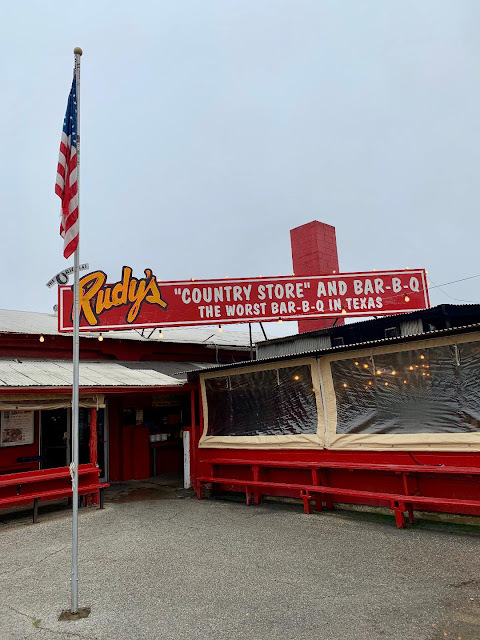 I don't know that Ed would be able to pick a favorite place, but one of the places we've been to is Rudy's - they have several locations throughout the state. This one in San Antonio wasn't too far from our delivery location and they had parking for the tractor. Ed always likes to have at least two meats - brisket and sausage are his two favorites. I wanted ribs, but they didn't have any ready so I settled for brisket and some chicken. For sides, we chose creamed corn, coleslaw, and potato salad. Along with the meal, they give you several slices of plain 'ol white bread, and pickles and raw onions are a must. 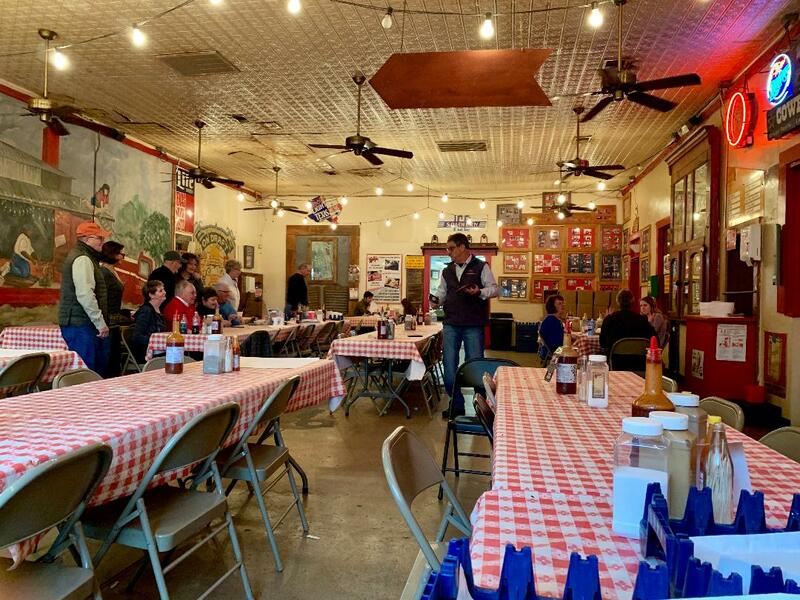 They serve the BBQ sauce on the side in big bottles on the tables, with industrial-sized salt and pepper shakers, hot sauce, and toothpicks. Drinks, paper towels, and plastic utensils are self-serve. 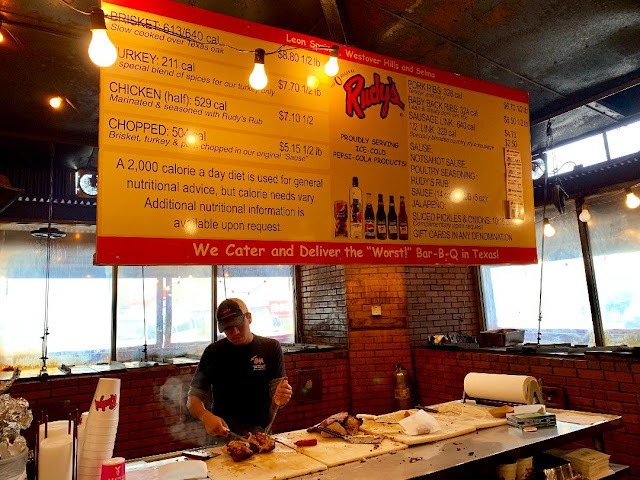 I always find BBQ to be an expensive meal, but knowing the time that goes into smoking meats, I can see why they charge what they do. 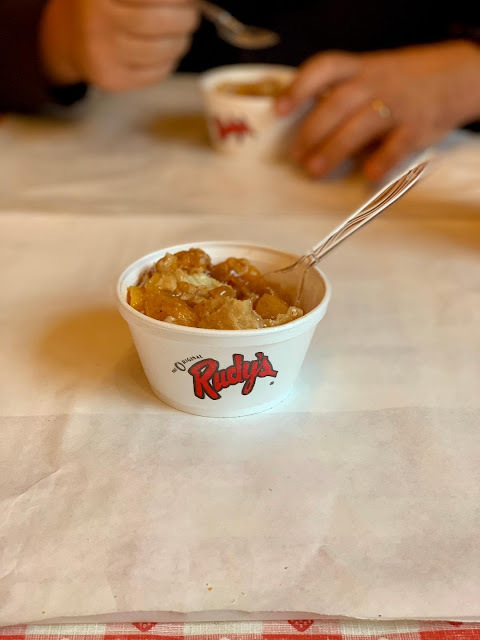 We ended the meal with peach cobbler. 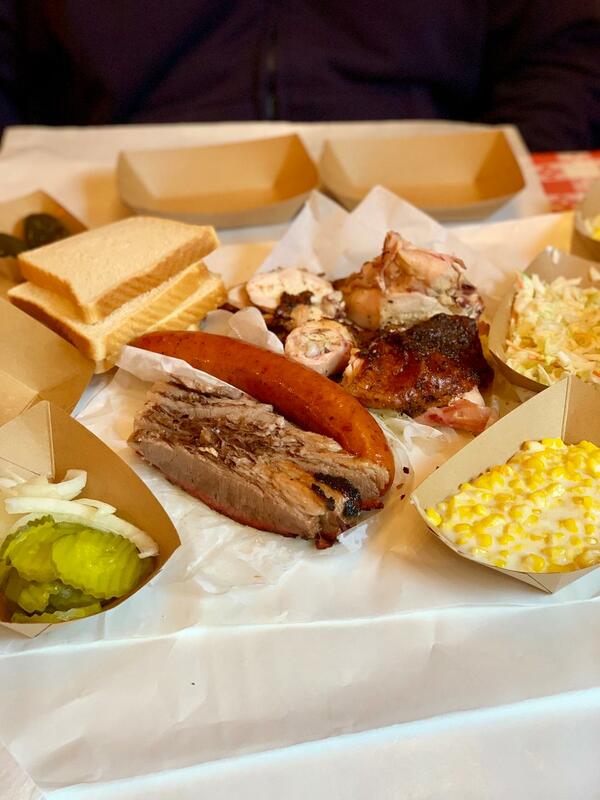 The meal hit the spot and should keep Ed going until he gets back home and starts smoking his own brisket again.